I recently conducted a mini-poll among those in my Facebook network to try and gauge what their hair goals are for this year. Some of the goals included: “Learn how to handle my natural hair”, “Moisturise, treat and protective style more often”, “Protective style more regularly”, “Aim for bra strap length”, “Grow healthier and stronger hair” as well as “Go for alternative protective styles such as havana twists.” Although there are some differences, I’d say the common thread throughout these goals are centred around growing longer hair. I guess that’s no surprise, and it’s no different for me. Incorporate more strengthening treatments for my fine strands to prevent breakage from everyday handling. (I’ve got my moisturising routine down pat, so keeping my strands moisturised isn’t really a problem). Increase my protective styling regime. I’m fairly happy with the way I currently protective style as it generally involves minimal manipulation, but I’d like to increase the length of time I keep my styles in. Reach mid-back length by the end of the year. It might seem crazy that I’m giving myself the entire year to reach this length as my hair is mostly already bra-strap length, but I do find that it’s becoming more challenging to hold on to my longer hair as it’s increasing in length, which is why I’m upping both my strengthening and protective styling routines. So with that said, I’m currently tweaking my regime and will update you soon with the specifics. But in the meantime, here are a few tips to help you set your own personal goals. Set specific and realistic goals – Decide what it is you want to achieve and by when. Write it down and regularly refer back to it to make sure you stay on track. Create/adapt your regime in line with your goals – For example, if you want to reach mid-back length by the end of this year and know that you have fine strands, make sure you incorporate strengthening treatments to aid in reaching that goal. If you experience a hurdle along the way, don’t give up. To be honest, I feel like I’m constantly battling both single strand and bigger knots, but if I were to give up on my natural hair journey every time I experienced a setback I would not have reached the milestones that I have so far. So we can do this Girls! Let’s keep each other accountable with our objectives. Not everyone is aiming for longer hair, so let’s support one another, whether the goal is simply to have stronger hair, less single strand knots, come up with funkier styles or grow hip-length hair. Remember, it’s easy to lose sight of your objectives as the year progresses. Dedication and commitment are key, which is why it’s important to write down your goals so that you can refer back to them when your enthusiasm wanes. Encouragement from others with similar objectives can also help you back on track. Although it’s not really a personal hair goal, I’m definitely aiming to encourage other woman to embrace their natural hair in whichever way they choose, more-so than I did in 2014. 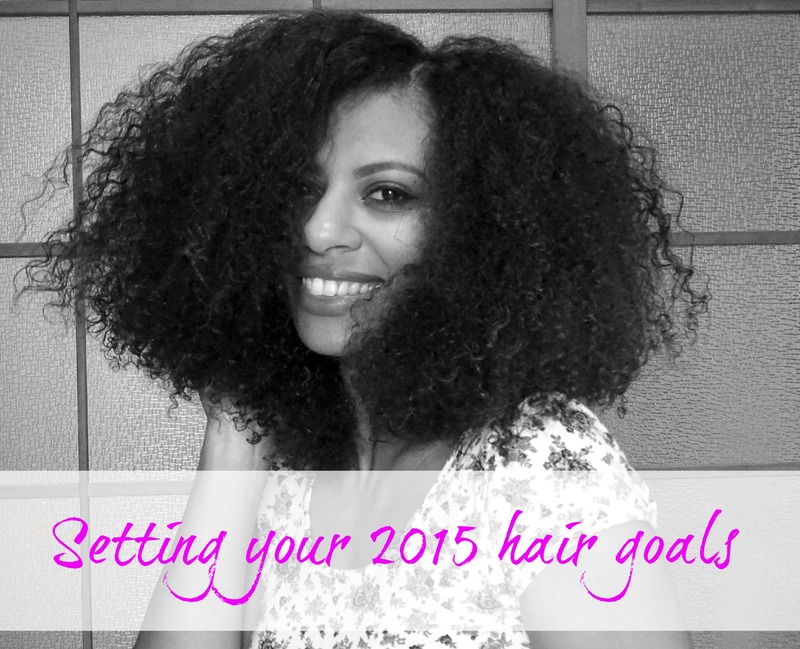 What are your hair goals for this year? Let me know down below in the comments section. To keep up with me on the rest of social media, please go ahead and follow me on Facebook, Instagram and Twitter, all @eleanorjadore. I love chatting and getting to know more of you. 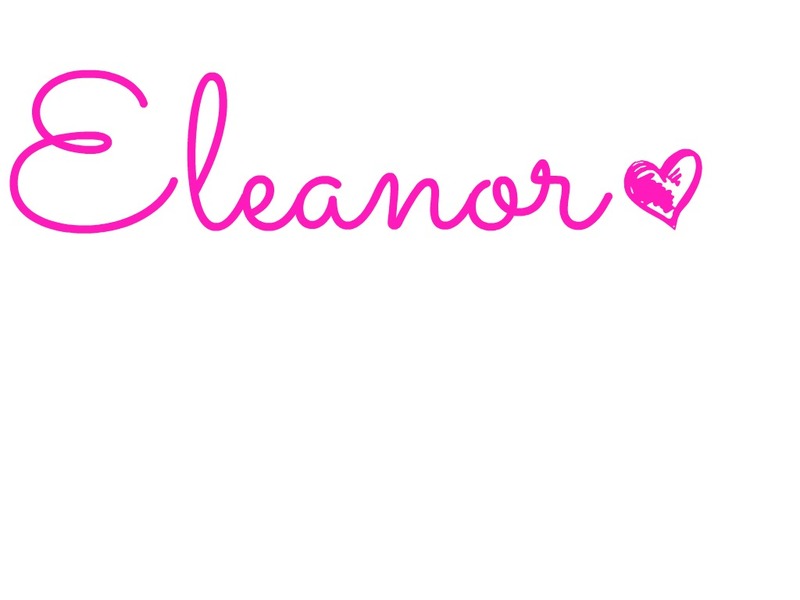 Next Post Eleanor J’adore is 1 year old + my first natural hair giveaway! Thanks Hun. Good luck reaching your goals. Excellent informative post my dear and wish you the best. My goals are 3, practice doing more flat twists in my hair, do the L.O.C. Method more often, incorporate shea butter into my hair regimen. Thank you for asking 😀 have a great weekend. Thank you my dear and will try to do so, best wishes and enjoy your Sunday. My hair goals are to implement protective styling and maintain proper balance of moisture and protein. Fairly similar goals to mine. Here’s to all of us achieving what we’ve set out to achieve for the year!